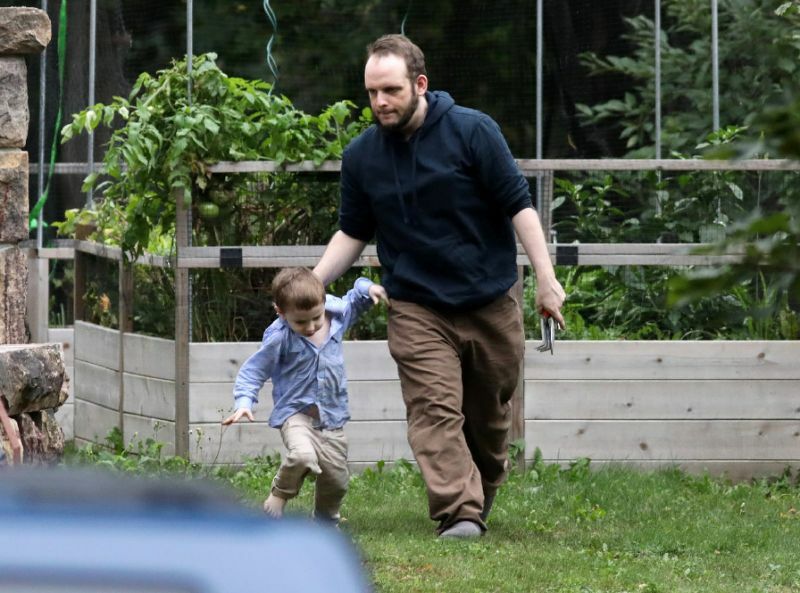 Freed Canadian hostage Joshua Boyle and one of his children walk outside the Boyle's family home in Smiths Falls, Ontario, Canada, on October 14, 2017. Washington - A North American family who were kidnapped by a Taliban faction in Afghanistan were held for five years in Pakistan before their release last week, CIA director Mike Pompeo said Thursday. The account is at odds with the Pakistani military's version of events, which said it rescued the couple and their three children born in custody after a tip-off that the family had been moved into Pakistan's semi-autonomous tribal areas from across the border in Afghanistan, where they were captured in 2012. "We had a great outcome last week, when we were able to get back four US citizens, who had been held for five years inside of Pakistan," Pompeo told a Washington policy forum. The amount of time US citizen Caitlan Coleman and her Canadian husband Joshua Boyle spent on either side of the lawless Afghan-Pakistan border is significant for US authorities. Washington suspects Pakistan of collusion with the Haqqani group, a hardline Taliban faction that targets the US-backed government in Kabul and is thought to have held the hostages. Pakistani officials secured the family's release last week, just ahead of a key visit next week by US Secretary of State Rex Tillerson during which he is expected to pressure Islamabad. Some US and Canadian officials have cast doubt on whether the family was rescued, hinting in North American media that the recovery was more of a "negotiated handover." "I think history would indicate that expectations for the Pakistanis willingness to help us in the fight against radical Islamic terrorism should be set at a very low level. Our intelligence would indicate the same," Pompeo said. "I think we should have a very real conversation with them about what it is they're doing and what it is they should do and the American expectations for how they should behave," he said. US President Donald Trump wants to convince Afghan Taliban rebels that they have no hope of military victory and should try to negotiate a peace deal with Kabul. But, Pompeo said, there is no chance the Taliban will do this if their fighters continue to enjoy the benefits of a safe haven on the Pakistan side of the border.